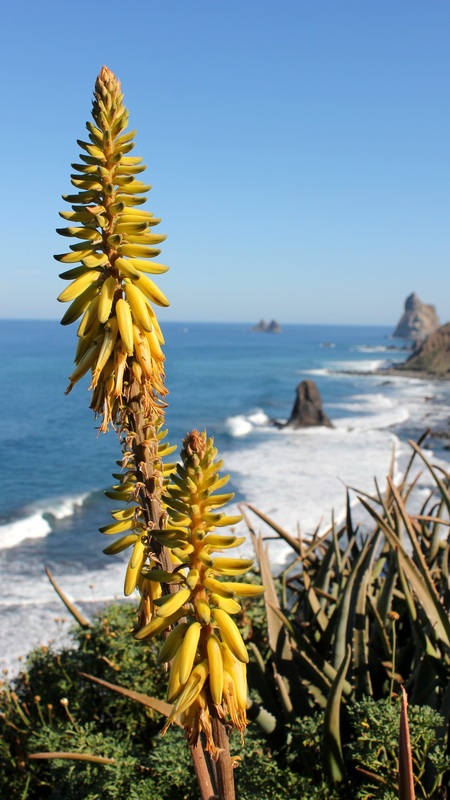 Most people who spend their holidays in Tenerife do so because they want to see the exotic Tenerife beaches. Tenerife is the largest island of the Canary islands in Spain, and the island has over 67.14 kilometres (41.72 miles) of beaches for you to enjoy. Here are my picks for the very best. Playa la Tejita is a beautiful natural beach which is popular with kite and wind surfers due to its steady wind. There is a local bar with beer and snacks and a breathtaking place to watch the sun rise. This beach is clothing optional. You can rent both sunbeds and umbrellas, and the views are stunning. 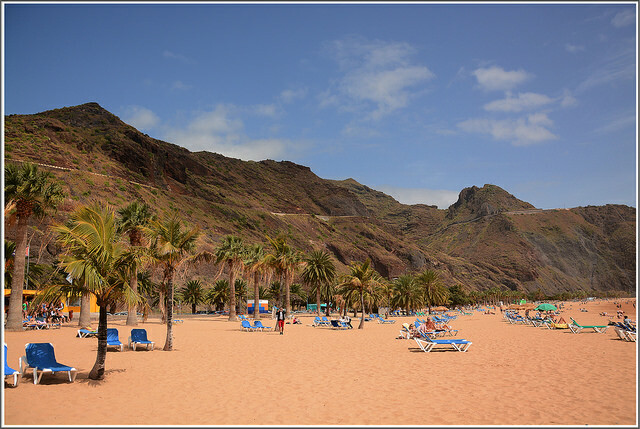 Playa Benijo in Santa Cruz is one of the most secluded Tenerife beaches. Playa Benijo has clear waters and a black sand beach that is covered with sand year-round. Take caution as the waves are rough, and there can be strong currents. Surfers love this beach. There are no sunbeds, but there is a restaurant at the top of the beach. 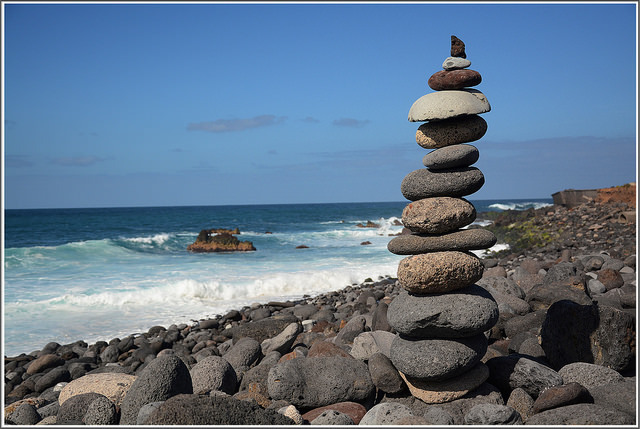 Playa Benijo is worth the effort it takes to get there, as it’s one of the most beautiful beaches in Tenerife. 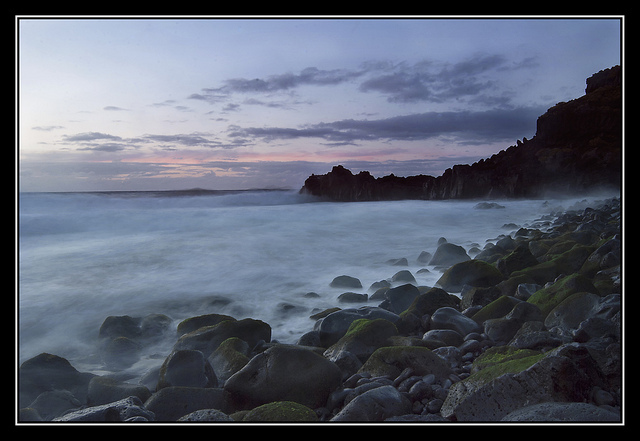 Playa Bollullo is another secluded black sand beach which can only be reached by walking to it. There is both a café and a restaurant at this beach. The waves are strong, so only swim if you are a good swimmer. The views and the nature at this beach are beautiful. There are many restaurants and cafes on the boardwalk in front of El Medano, which you can watch the windsurfers and enjoy the beautiful views. There’s beautiful golden sand and shallow waters, so this is a good Tenerife beach for swimming. There is also a children’s playground just behind the beach. 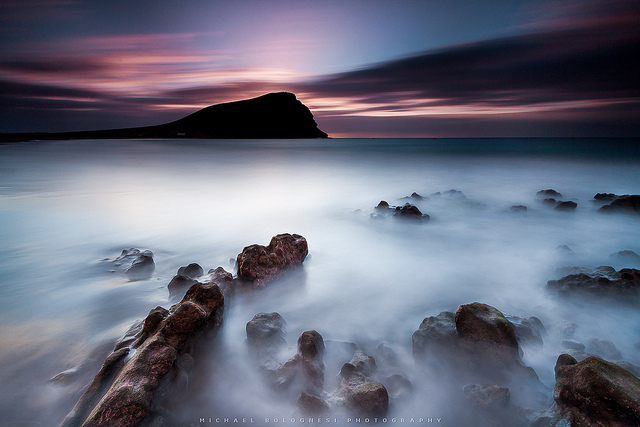 This is one of the more popular Tenerife beaches. 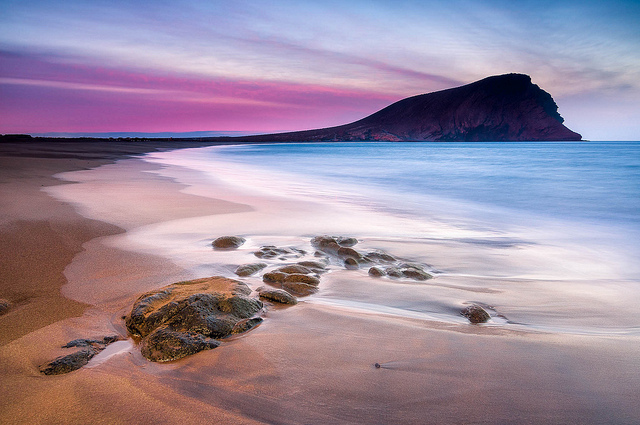 Calm waters, a long beach, and impressive mountains all add up to make this one of the top 10 beaches in Tenerife. This is a man-made beach, and the sand was brought all the way from the Sahara desert. 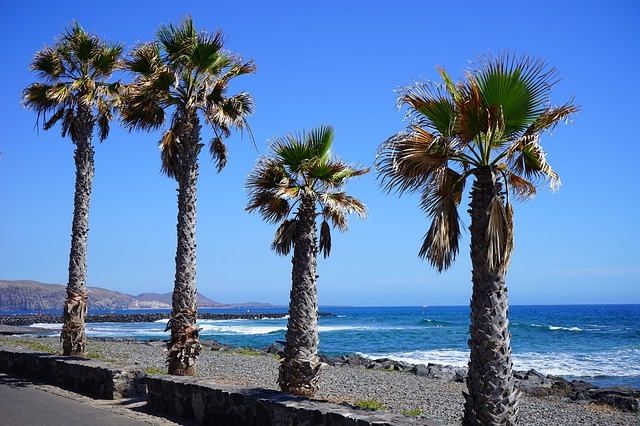 Like many of the Tenerife beaches, it tends to be windy, and on cooler days, it can be cold. There are cafes which serve snacks, and there is plenty of parking. Playa Jardin is a picturesque beach with a beautiful landscape. It’s surrounded by colorful flowers, plants, palm trees, and cascading waterfalls. This black sand beach has sun beds for rent and lifeguards. There is a small restaurant, too, where you can get food and have a picnic on the beach. 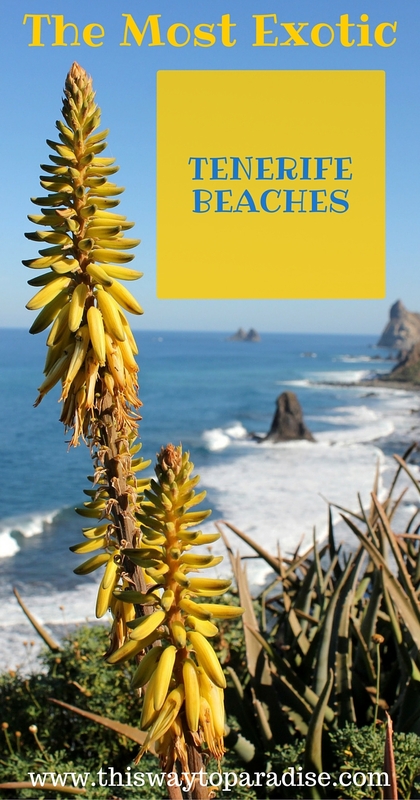 Playa de las Vistas is definitely the best of the south Tenerife beaches. It’s a long and wide beach with nice sand. It’s great for swimming, and is a great beach for families. There are nice restaurants and bars on the promenade that have gorgeous views. I vote El Medano because it looks secluded and you can swim in it. All the beaches are super nice but if you can’t get in the water I’d feel cheated.